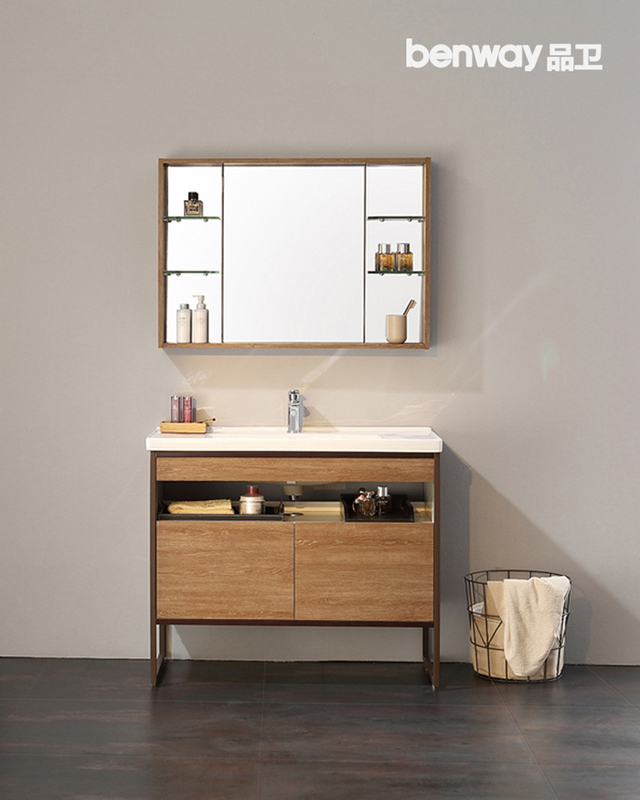 Bathroom cabinets struggle with solid wood or stainless steel? 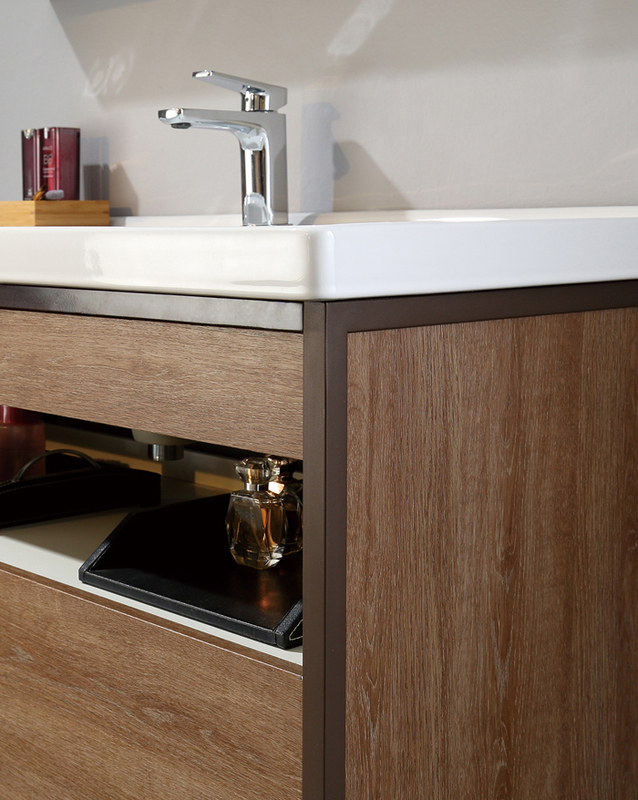 Mu wen stainless steel bathroom ark, choose bathroom ark to need not worry to choose real wood or stainless steel any more! Customer: isn't this real wood? benway: no, dear. This is wood grain stainless steel. benway: yes, besides all sorts of mu wen, we still have those who make decorative pattern, 3D, color figure is not less than wooden ark! Since ancient times, Chinese people have a special liking to "wood", like it to bring the feeling of natural, sedate, grace to reside a home to the person, but "wood" is met for a long time with water to be met craze, be out of shape, rot, especially not applicable to damp toilet. And stainless steel has waterproof and moisture-proof advantage, can resist moist environment, and healthy environmental protection. To satisfy consumer already endearingly real wood exterior, notice waterproof and moistureproof, healthy and environmental protection demand again, article defends use masterly craft to make a mu wen stainless steel bathroom ark, height is true to real real wood, let bathroom ark natural grace, waterproof and moistureproof, return not easy to be out of shape, healthy and environmental protection. 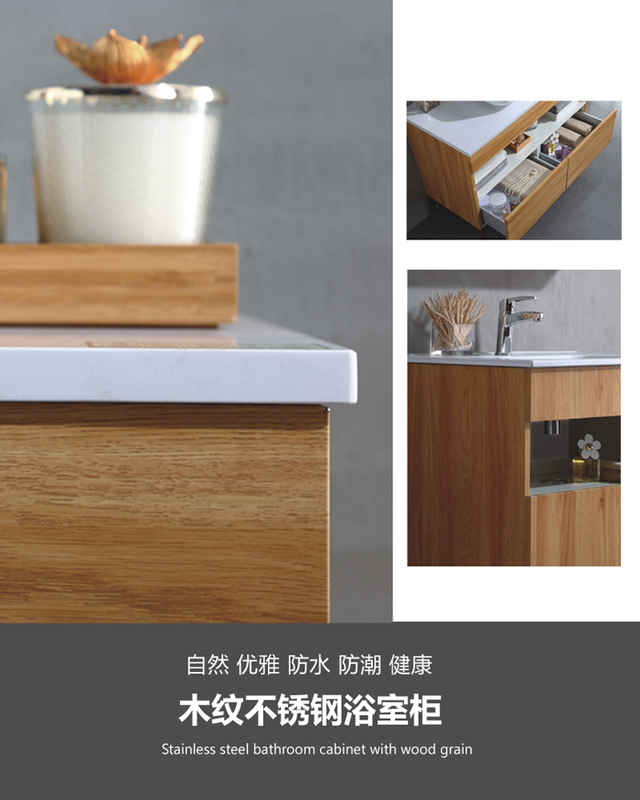 The olive wood grain that nature is true to life, resemble a wood more win a wood, satisfy your real wood feelings already, can enjoy the advantage of stainless steel health environmental protection, waterproof and moisture-proof again. The tone is fresh and elegant, full of comfortable and cozy Nordic style. Noble coffee stainless steel bracket, fashionable and beautiful, add appearance level again for whole bathroom ark! 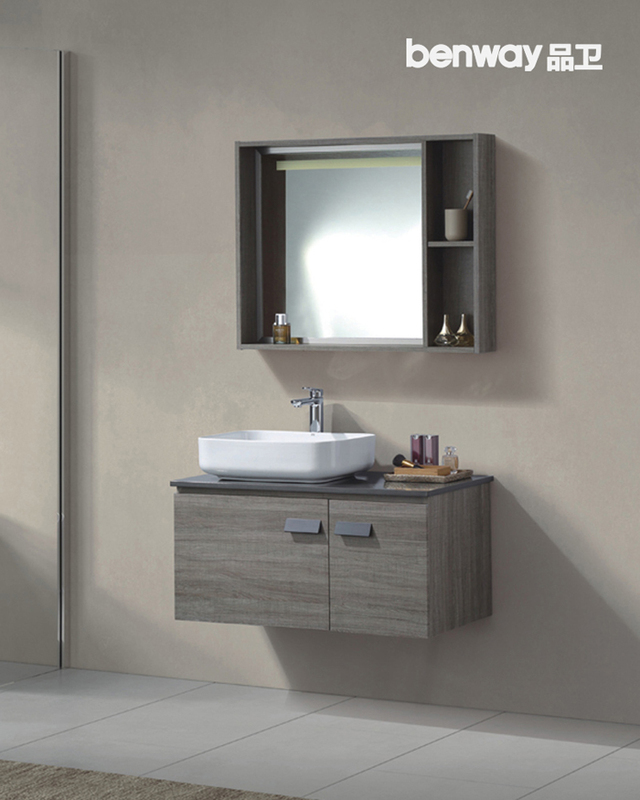 The green grey wood grain of light luxurious grey tone, implicative not make public, build the bathroom atmosphere that gives atmosphere to have style however. 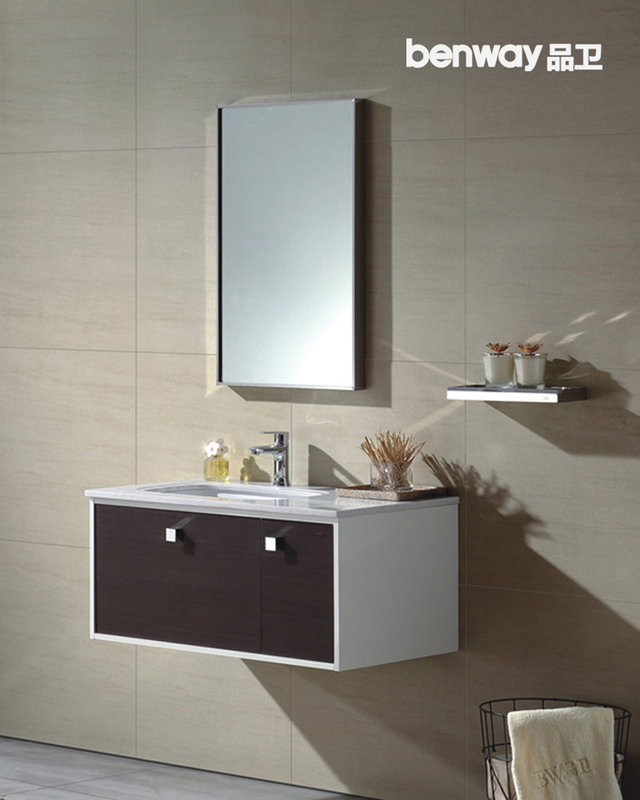 Elegant ceramic thin edge on the basin, advanced gray quartz table, so that products more texture. Warm yellow oak, rich Nordic romantic atmosphere, very suitable for the Nordic style of home decoration. Small family specification is designed, drawer, open space, place to wait for multiple store content space, let little space play big effect. 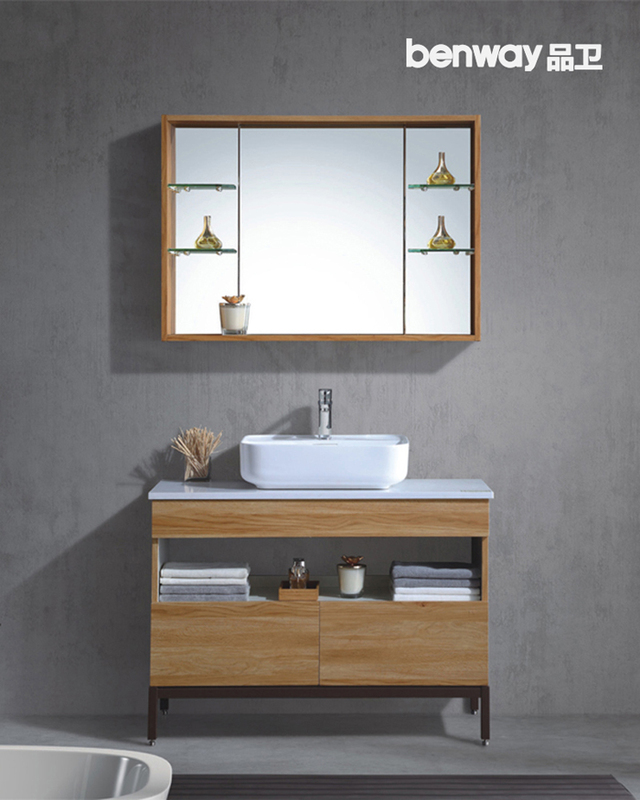 Concise, pure design, beautiful fine teak grain builds return natural, return uncut jade to return true pure and simple atmosphere, whole bathroom ark is fashionable and natural perfect union. The stainless steel leg of integral molding, seiko make, the product is in pursuit of product exquisite while, pay more attention to product quality. Black walnut grain door plate, pearl white side plate, color one dark one light, harmonious collocation. Natural and lifelike texture, simple and fashionable design, with unique charm tantalizing our body and mind and vision. 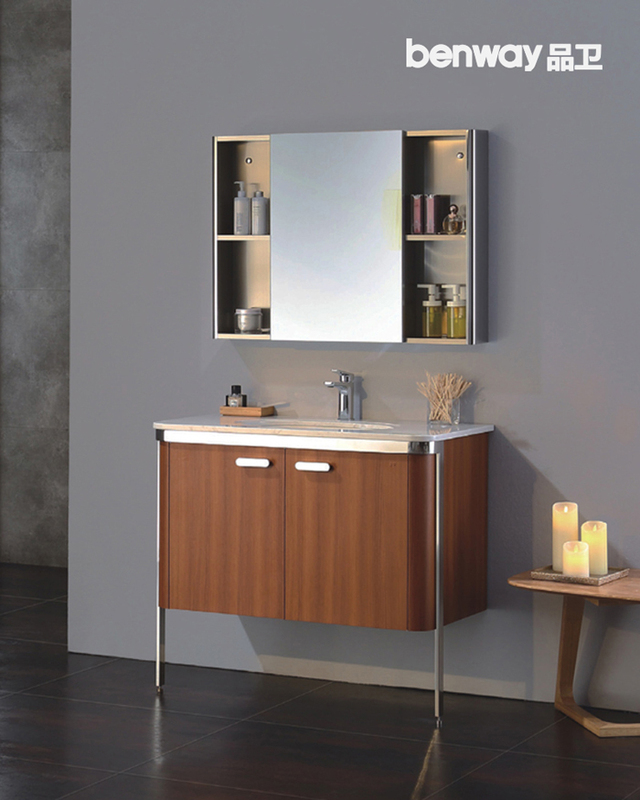 Mu wen stainless steel bathroom ark, have solid wood exterior already, have stainless steel again healthy environmental protection, waterproof and moistureproof, choose bathroom ark to need not worry to choose solid wood or stainless steel again later! 下一页：Accomplish simple two steps, again small toilet can do wet depart!